Pellets are manufactured by compressing small particles of wood through a die at high pressure. 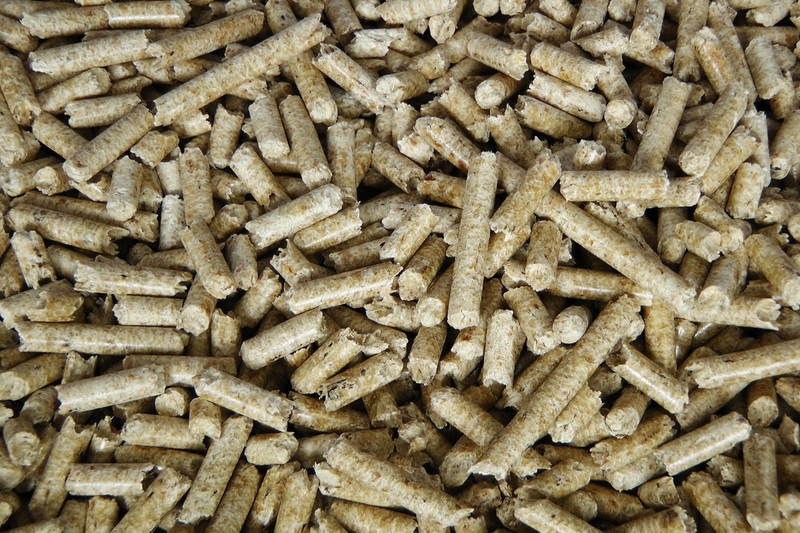 Pellets are used to power pellet boilers and allow for the accurate metering of solid fuel into a combustion chamber. Pellets have a very high calorific value per Kg as they are very dense and very dry. Pellet prices per tonne will be significantly higher than wood chip as the capital equipment cost is very high as well as high energy input requirements to manufacture, but the benefit is a much higher energy output per unit volume. The feedstock requirement for pellet boilers varies, with many requiring premium pellets with strict control over pellet length, fines and ash content. Pellet boilers are some of the most efficient boilers available, with decades of research and development behind them, they can provide a modulated heat output and minimal maintenance. We supply a wide variety of pellets to suit most boiler specifications. Pellets are tightly controlled in terms of moisture content, with a fine tolerance on energy value typically around 5kWh/Kg. Sales are by weight, or by metered kWht. Ad-hoc or contract basis.